Zwei: The Ilvard Insurrection is an action RPG developed by Nihon Falcom and published by XSEED Games. This game is actually the second title of the Zwei series, though as near as I can tell, the two games don’t have much to do with each other, so there’s no worries about missing out on anything. 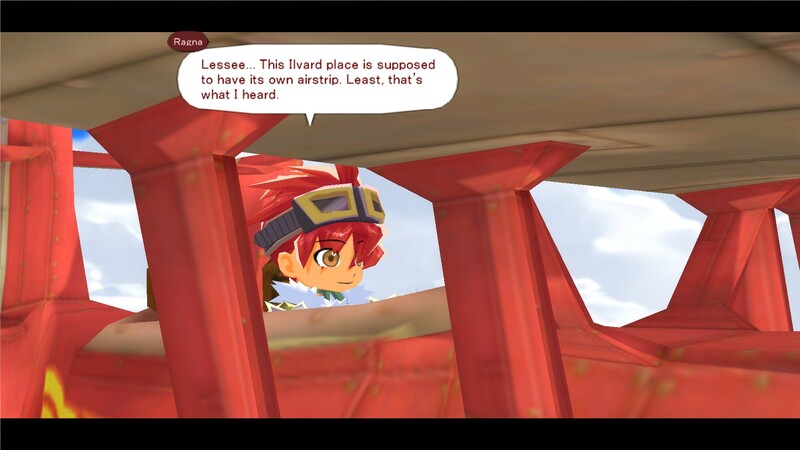 Zwei starts out with our protagonist, Ragna Valentine, a treasure hunter flying in an airplane, searching for some adventure. Unfortunately, he is beset by dragons, his plane is damaged, and it makes a crash landing on a nearby island. He seemed to come out of the wreck mostly unscathed, to the disbelief of some local villagers. Eventually Ragna discovers that a local vampire made a blood contract with him in order to save his life. The vampire, Alwen du Moonbria, happens to be a princess of an esteemed vampire clan, but has recently had her castle taken and most of her powers stolen. She forms a contract with Ragna in order to have a servant. The side effect of this is that he must now obey her whims. She aims to get her magic back, and retake her castle. Ragna agrees, though a bit reluctantly at first. Thus the two set out on adventure. Most of the gameplay consists of diving through dungeons. The dungeons are filled with enemies, a few puzzles, and some treasure to sell for money. Most dungeons also contain branching paths, typically one path having a handy upgrade at the end, and the other, a boss fight. Ragna and Alwen are a team, and the gameplay reflects this. 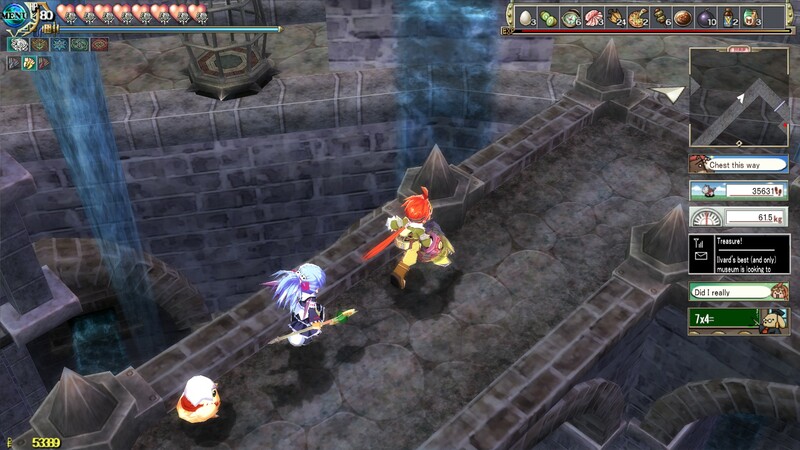 Ragna uses his “anchor gear” to fight up close, and Alwen uses magic to attack from a distance. The movesets here are nothing complicated. Ragna has a three hit combo and a jump attack for airborne enemies. Alwen just shoots out magic bolts. They both get intermittent upgrades to their arsenal. Ragna gets new models of the anchor gear with new abilities, such as being able to grab and throw enemies. Part of the story is Alwen getting her magic back, so she gets new abilities that way as well. The level up system in Zwei is pretty unique. Rather than getting experience from killing enemies, you get it from food that you find in dungeons. Food also doubles as your main source of healing items, so you need to use them with care. Also, if you get 10 of a particular food item, you can trade it in for a higher rank food item. In terms of experience, this is always a beneficial trade. However, you do lose out on potential healing items. The gameplay here doesn’t really feel as polished as some of Falcom’s other action RPGs. Hit detection feels really loose, and enemies don’t always have telegraphs for their attacks. When I grab certain enemies to throw them, my movement gets all weird. I’m not sure if this is intentional or not, but I’m leaning towards not. Boss patterns also feel very unrefined. With something like Ys, bosses have very clear attacks. Sometimes in Zwei I’d take damage and not know why, or not take damage and still not know why. Some attacks also felt straight up unavoidable. It’s not really bad though, the combat is satisfying for what it is. I would just not come into this expecting it to be as polished as Ys. I also have to question the way you get experience. Dungeons are nice enough to indicate what the appropriate level is, and I was almost always below that. I can only assume I just didn’t find enough food, which are random drops from enemies. Even that aside though, I can’t imagine the game being worse off if it simply had a traditional experience system. I suppose they wanted players to make the decision between having healing items or trading up for more experience. Thanks to the scarcity of food though, this was rarely ever a decision. I could trade in 10 of one food and still have 5 or 6 of some other, which is usually enough for healing through a boss fight. The story was good, though I can’t say I found myself really invested in it until about halfway in. Once some big events happen, the characters start to get a little bit more fleshed out, and you have a clearer goal. After that, I was on board. This is definitely a cutesier game than some of Falcom’s other titles. 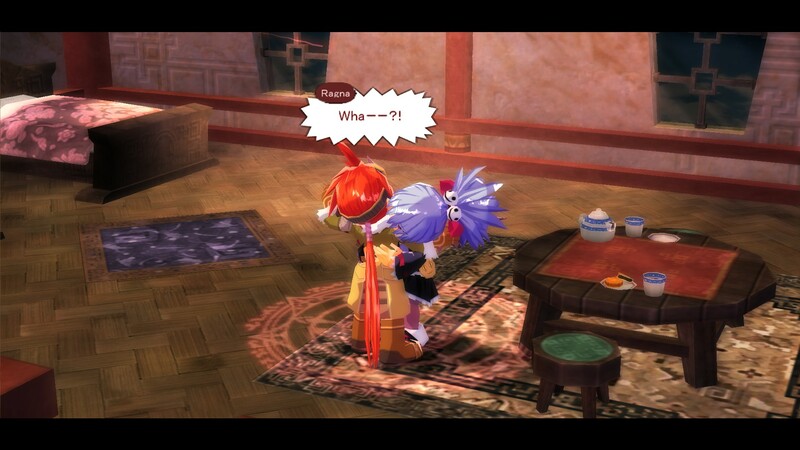 It’s much more in line with Gurumin. The comparison to Gurumin also comes with the games visuals. It’s fairly similar, though with a bit more polish and detail in the character models and environments. It looks quite good even now, with the game being nine years old. The soundtrack fortunately is certainly up to par with Falcom’s usual quality. Some songs sound like they were pulled right out of Trails in the Sky. I’m happy to say that this game runs at 60fps. On the highest settings and a 16:9 resolution, it ran smoothly even on my very low end laptop, so I don’t think most folks are gonna run into trouble in that regard. I played using a Dualshock 4 and also didn’t have any issues there with getting it to recognize inputs. No complaints from me regarding the technical aspects of this version of the game. 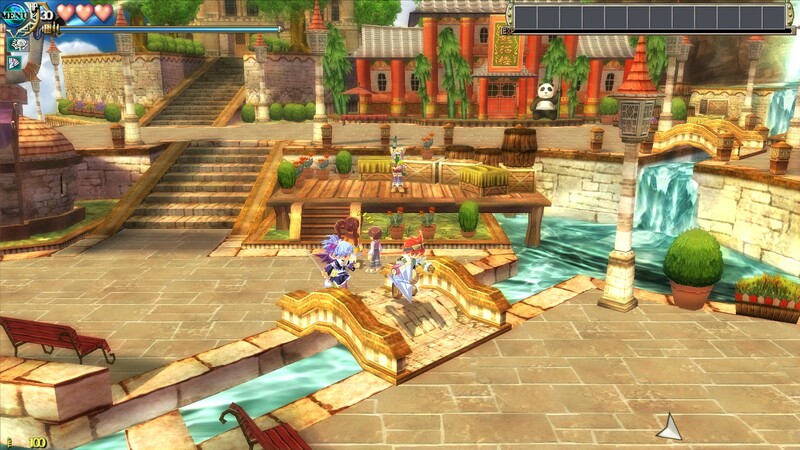 I don’t think Zwei is one of Falcom’s standout games, but it’s not bad. It’s $30, and took me about 20 hours to beat. There’s also optional content that will probably add another 10 or so. The story is fine, and there’s lots of fun, quirky characters to enjoy. If you’re looking for a cutesy action RPG, or want another Falcom game to add to your collection, I don’t think this game will disappoint.